There’s nothing more re-energizing than a change of scenery. Fortunately, we don’t have far to travel in order to take advantage of beach towns, big cities or mountain escapes. 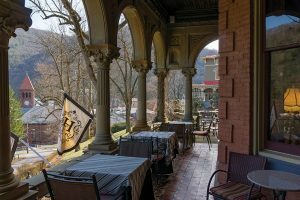 One of my favorite getaways is Jim Thorpe, which continues to experience a post-coal revitalization through tourism. I appreciate the fact that many of its most endearing features and attractions are built on the footprint of its rich history. Jim Thorpe has earned its fair share of accolades. 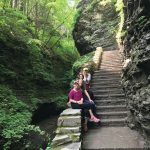 Expedia calls the area “the Switzerland of America.” USA Today regards it as a “Top 50 Place to Live and Play.” Numerous media outlets call it “one of the most beautiful towns in America” due to its natural scenery and stunning architecture. Several tout it as being one of the country’s “most romantic” towns. It’s also regarded as “the gateway to the Poconos,” and its fall foliage show is one of the best in the state. Its holiday events make it a top destination in December. It’s also earned the designation of being among the “Top 100 Adventure Towns” from National Geographic. It’s home to an independent film festival and an annual celebration of its Olympian namesake. 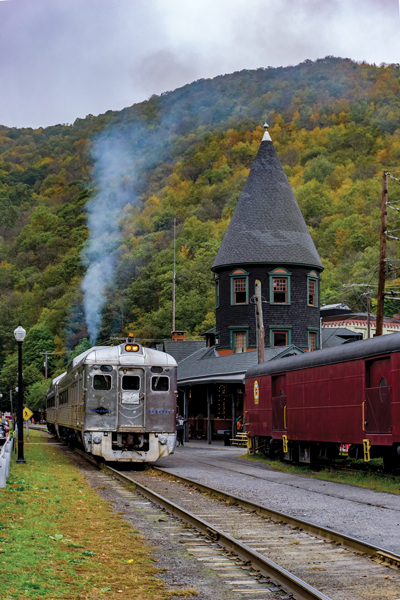 Jim Thorpe offers something for everyone, including thrill-seekers (ghostwalks and whitewater rafting), foodies (one pub is located in an old firehouse), wine lovers (the award-winning Galen Glen is just one winery in the area), romantics (there are lots of quaint B&Bs), nature lovers (Bear Mountain Butterfly Sanctuary is a hit with kids), history buffs (numerous coal-related museums) and shoppers (small shops and galleries galore). As you might guess, there’s a lot to see and do here. 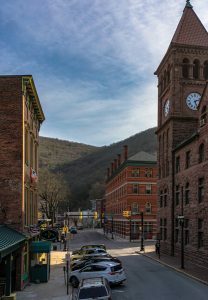 The modern-day town of Jim Thorpe straddles both sides of the Lehigh River midway between Allentown and Wilkes-Barre. Throughout much of the 18th century, the area beyond Blue Mountain was controlled by native tribes including the Delaware/Lenapes, Mohicans, Iroquois and Susquehannocks. The first non-native settlement was established slightly south of Jim Thorpe by a group of Moravians from Bethlehem, who sought to create an outpost in which they could live peacefully among the warring tribes. In 1790, Necho Allen “discovered” coal deposits near Pottsville. Legend has it that Allen had fallen asleep while he was out hunting and awoke to find that his campfire had spread to a surface-level deposit of coal. Thus, began the anthracite coal industry in the United States. Twenty years later, the Lehigh Coal & Navigation Company was born, as was the company town of Mauch Chunk. A 20-year construction project also began on the Lehigh Canal. The LC&NC mined the deposits in nearby Summit Hill. The coal was then transported by gravity rail to Mauch Chunk, where it was transferred to rafts for the trip down the turbulent Lehigh River. 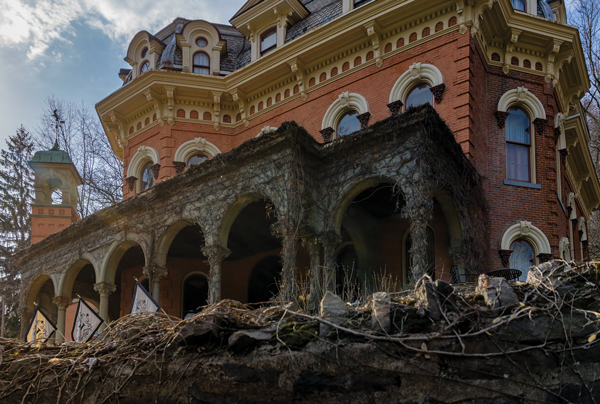 Nestled into the hillside behind the Carbon County Courthouse, you’ll find two beautiful Italianate-style mansions. These estates are home to the Asa Packer Mansion Museum and the Harry Packer Mansion Inn. Asa Packer was a visionary businessman who reinvented the Lehigh Valley Railroad with his push for a rail line to deliver coal from Mauch Chunk to Easton. This created a reliable method of transporting large amounts of coal to various metropolitan areas, which in turn ended up fueling the Industrial Revolution. Asa was also a judge, politician and the founder of Lehigh University. His former home stands as a monument of his many accomplishments and is considered one of the best preserved Italianate villas in the United States. The Harry Packer Mansion Inn, a wedding gift from Asa to his son, is not only an interesting place to rest your head, it also offers highly acclaimed Murder Mystery Weekends. Test your mettle and see if you can solve this fact-based mystery surrounding the infamous Packer family fortune. You will also find that the inn’s Libations Lounge beautifully utilizes the atmosphere of the mansion. During the warmer months, you can sit on the veranda and enjoy a delightful view over the grounds as well as the rooftops of the historic district that sit at the base of the mountain. In the early 1950s, anthracite coal was on the decline, and a plan was devised to merge Mauch Chunk and East Mauch Chunk. The town’s residents voted overwhelmingly to rename the town Jim Thorpe in honor of the Native American Olympic and professional athlete, who was considered to be one of the greatest athletes of all time. Despite having never laid eyes on the town, Thorpe’s body rests in a commemorative mausoleum along Route 903 at the northwestern edge of town. Today, the Old Mauch Chunk Historic District is a National Historic District comprised of 28 contributing buildings that exhibit architectural influences such as Victorian, Italianate and Romanesque. Some of the most noteworthy buildings include the Lehigh Coal & Navigation building, whose outer facade received a facelift last year. Just around the corner, you’ll spot the beautiful wrought iron-lined balconies of The Inn at Jim Thorpe, which dates to 1849. 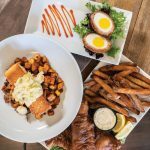 You can book a stay in one of their modernized rooms, or stop by for a bite and a few drinks at the Broadway Grille & Pub. Be sure to grab a seat on the veranda if you can. The Inn’s spa facilities are also waiting for those looking to be pampered. Further up West Broadway, you’ll find a large two-story stone structure that dates to 1871 and served as the Carbon County Jail until the 1990s. It’s been converted into the Old Jail Museum, where tours of the jail, basement dungeon and the gallows are offered. The gallows are where seven of 20 Irish miners known as Molly Maguires were hanged after being falsely accused of murder. The historic footprints of iron horses have certainly left their impression on the area. While freight trains continue to rumble through the rugged wilderness, some of the old abandoned rail beds have been converted into a massive network of very impressive rail trails. If you’re looking to be active, the D&L Rail Trail runs north from Jim Thorpe to the Lehigh Gorge State Park. Businesses offering bike rentals are plentiful if you want to leave your bike at home. 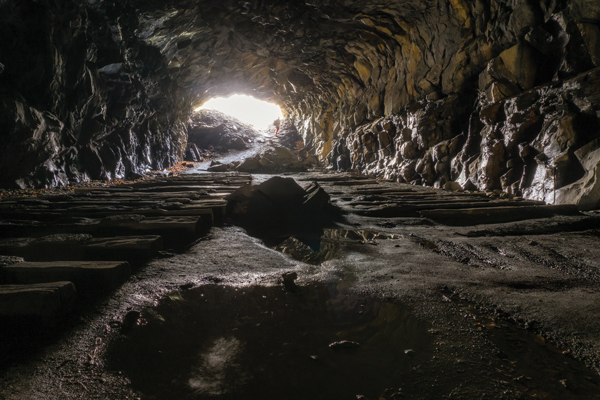 A notable feature as you enter the state park is the Turn Hole Tunnel, a 496-foot-long abandoned railroad tunnel that brings hikers to a unique vantage point overlooking the Lehigh River. 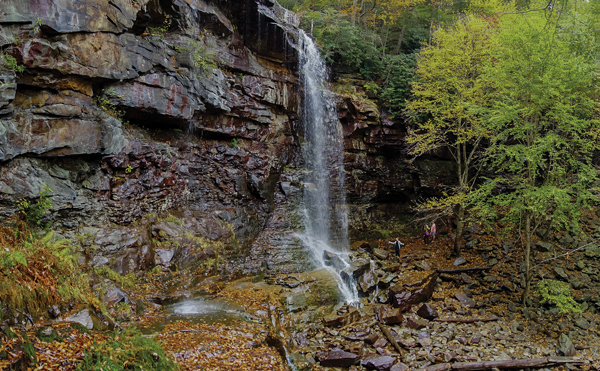 Across the river, a trail leads to the very rugged and wild Glen Onoko Falls on Pennsylvania State Game Lands No. 141. 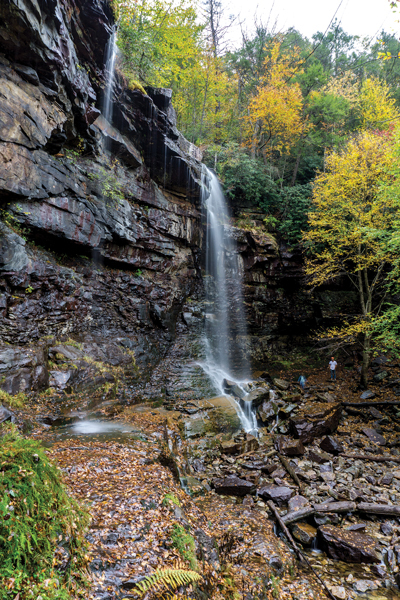 While the falls are absolutely stunning, this trail is very challenging and is not recommended for inexperienced hikers. Not to worry though, there are a number of lovely waterfalls directly along the D&L Trail further into the state park. 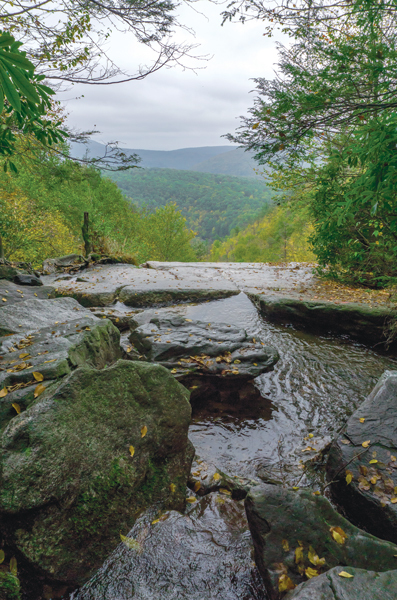 From the south entrance of the Lehigh Gorge State Park, the D&L Trail twists and turns uninterrupted for 26 miles – all the way to the town of White Haven. By the time you read this, the new pedestrian footbridge in Jim Thorpe will be open. The 250-foot steel bridge is the final piece that connects 58 miles of trail across Luzerne, Carbon and Lehigh counties. 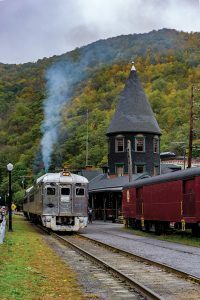 If this sounds too strenuous, you might want to head down to Jim Thorpe Station and buy a ticket to ride the rails in style aboard the Lehigh Gorge Scenic Railroad. The LGSR runs affordable steam- and diesel-powered passenger rides on weekends and select weekdays May through December. It’s truly a unique way to experience the beauty and history of the area. This is just what’s going on in town. Jim Thorpe serves as a gateway to the Pocono Mountain area. Between them, you’ll discover vast wilderness areas that are perfect for hiking, fishing, hunting, boating, birding, swimming, whitewater rafting and what is billed as the Free 100-mile View. 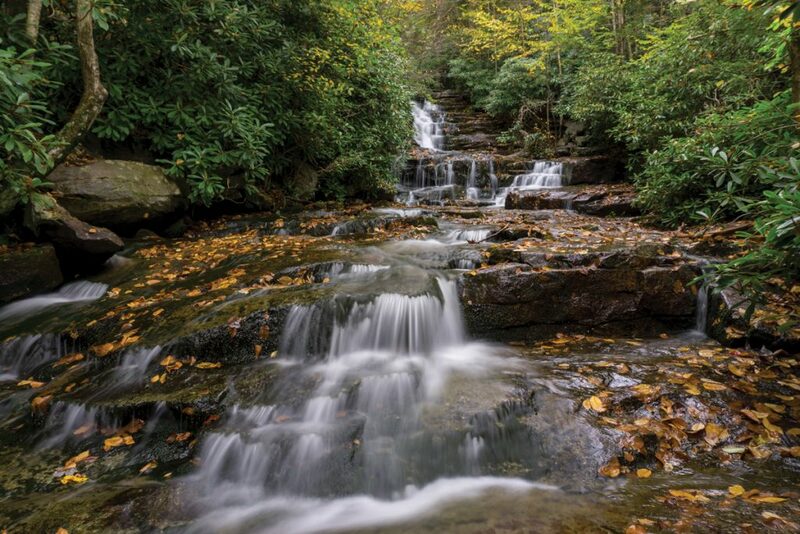 Whether you’re looking for a day trip, a weekend getaway or an extended stay, Jim Thorpe has plenty to offer. 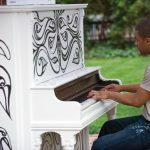 For more information, visit Jimthorpe.org. My husband and I have visited Jim Thorpe on several occasions. It’s a great two/three day getaway from Lancaster. The B&B’s are all good in town and the restaurants are few but all good.